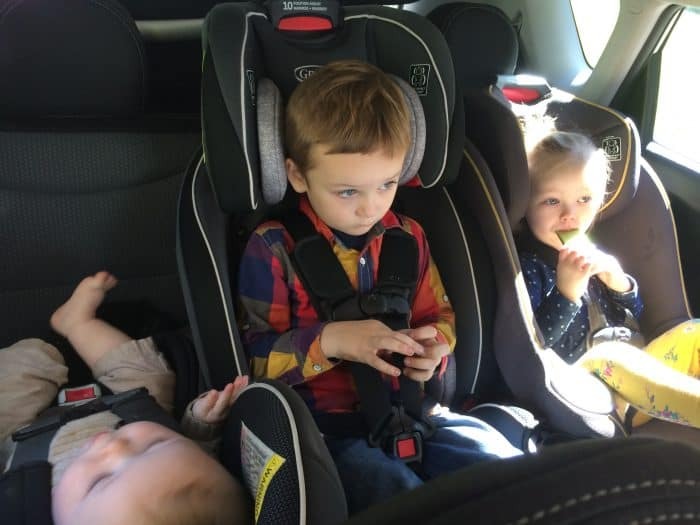 Finding three narrow car seats may be one of your first thoughts going from 2 to 3 kids. One of the questions we had going from 2 to 3 kids was if we would have to upgrade from our old school 90’s car to a minivan. Obviously a bigger car would be ideal. But honestly, we didn’t want to buy a different one 3 months before moving across the country. So we set out on the quest to see what combo of narrow car seats would fit inside of a regular 5 seater car. I’ll show you how we fit three car seats in the back of a car and what combos worked! What a nice thing to have free 2 day shipping and not drag this big box through the store and load it in and out of our trunk! 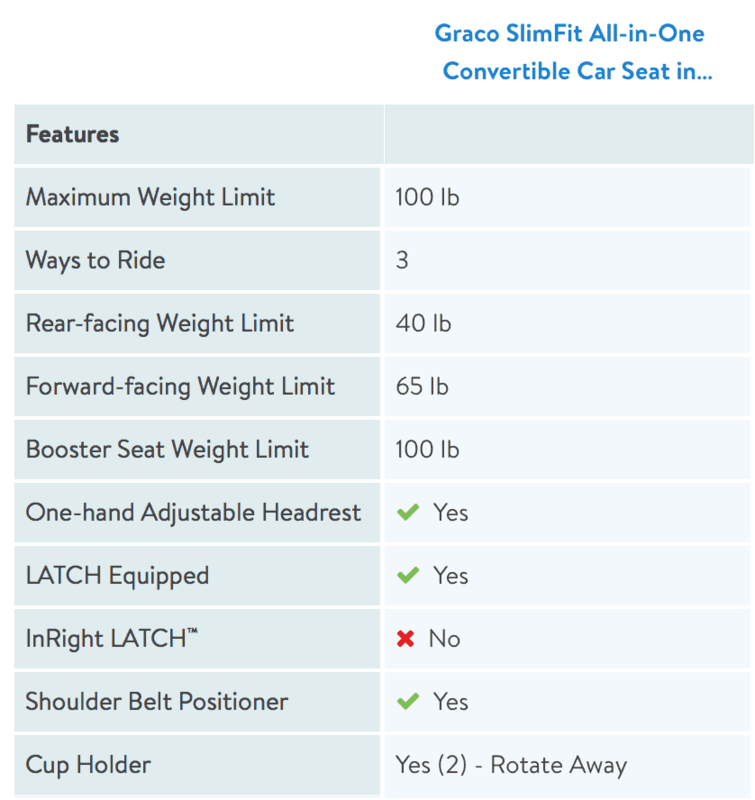 Graco had a narrow car seat option, coming in at just 16.25 inches wide with the cupholders closed! And it was one of their more economical ones. By rotating the cup holder in, the whole seat becomes 10% slimmer. 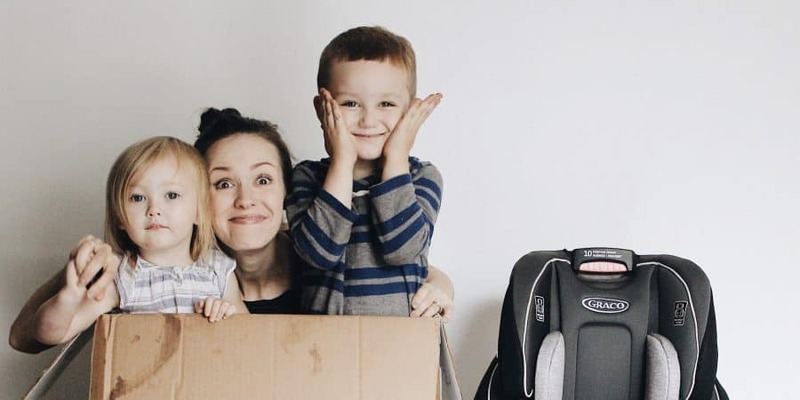 We could hypothetically use their Slimfit All in One convertible car seat for any of our 3 kids since it is front or rear seat facing and good from 5-100 lbs. One option we considered was to buy two of these and use our infant car seat. Here the middle seat is the Graco Slimfit, my daughter is in another Graco seat (not Slimfit), and my baby is in the Combi facing backward. The Combi can be front facing as he gets older. I put my son in the middle with the Graco Slimfit Convertible Carseat. He had to have the middle since his legs are the longest. 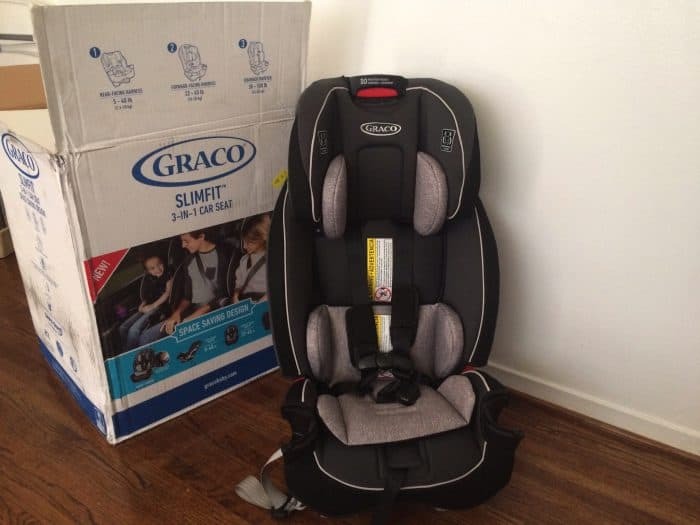 My daughter got another convertible car seat from Graco (it wasn’t a slim, but we already had it and it fit on the side by the window). Our baby used a Cybex Aton 2 infant seat with base and later on the very slim convertible car seat by Combi pictured below which is just 15.1 inches wide! We love it and it would be hard to find a narrower seat. 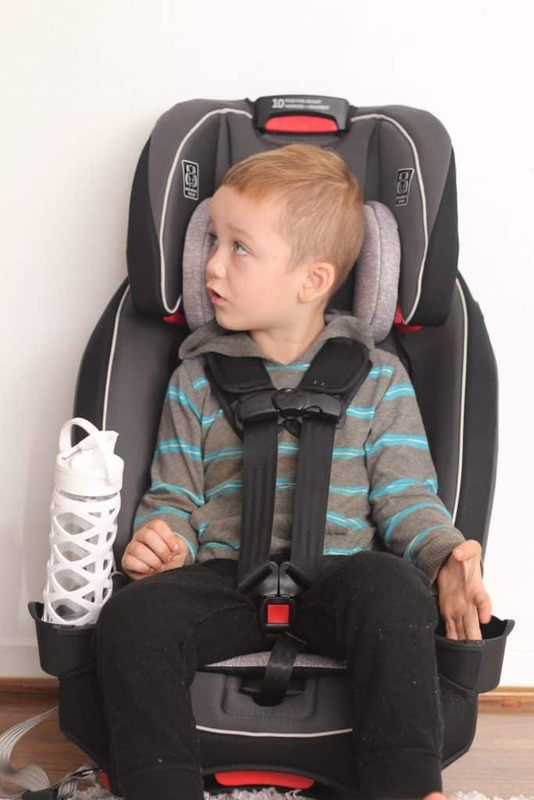 If you are like me and are trying to find a narrow car seat combination using at least one of your current car seats, then you may be able to get away with just purchasing one really narrow one. 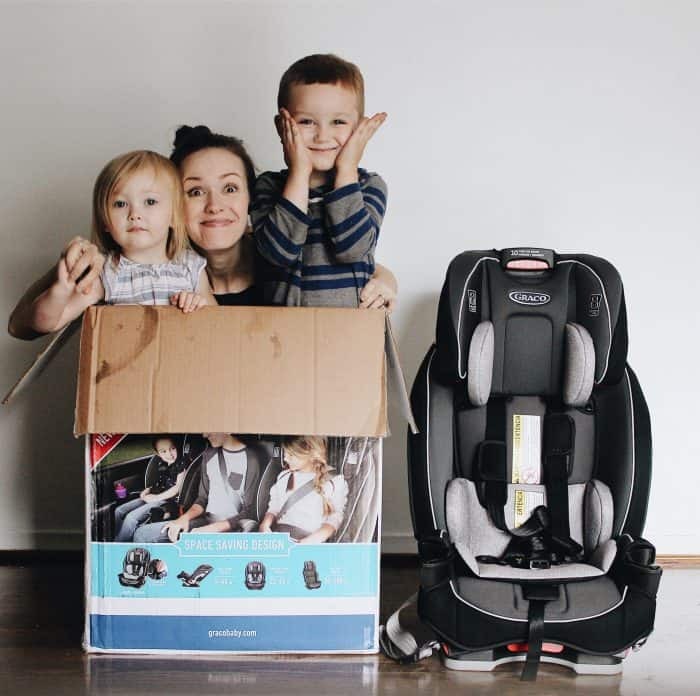 The reason why we started with the infant seat ( Cybex Aton 2 which is a 17.25 inches wide ) is that I got a really good deal, it fits with our other narrow car seats, and it’s a designer seat so I thought it would be fun to try. Any infant seat equal to or more narrow than this one would work though. I have monster size off the chart babies haha, so after just 6 months he grew out of it. We switched over to the Combi pictured above which I LOVE. It was given to us by a couple who also had to fit 3 car seats in the back of their Volkswagen and needed three of the absolute narrowest car seats they could find. The hardest part of trying to fit three narrow car seats in the back of our car in one row is buckling everyone. Usually, I would buckle the baby in, and then buckle the older two from inside the car. I often let them crawl in through my front door and then get into their car seats from the middle. It’s quite a spectacle really! This is especially helpful for whoever sits in the middle seat because in a small car it can be hard for them to crawl over a car seat. Update: My mother in law just came to visit and hooked all three of our car seats into her rental car with the latch system. She said voluntarily that the Graco Slimfit was hands down the easiest and fastest of all three to install. She also said buckling was easiest for that one as well. So there you go for honesty from Grandma! Get your car seats shipped! Did you know you can get free 2 day shipping from Walmart & Amazon? I am so thankful to have avoided lugging that through the store and into my trunk with three kids. I am very happy with the quality of Graco and functionality of this car seat. It’s very cushiony which is the part my son notices. 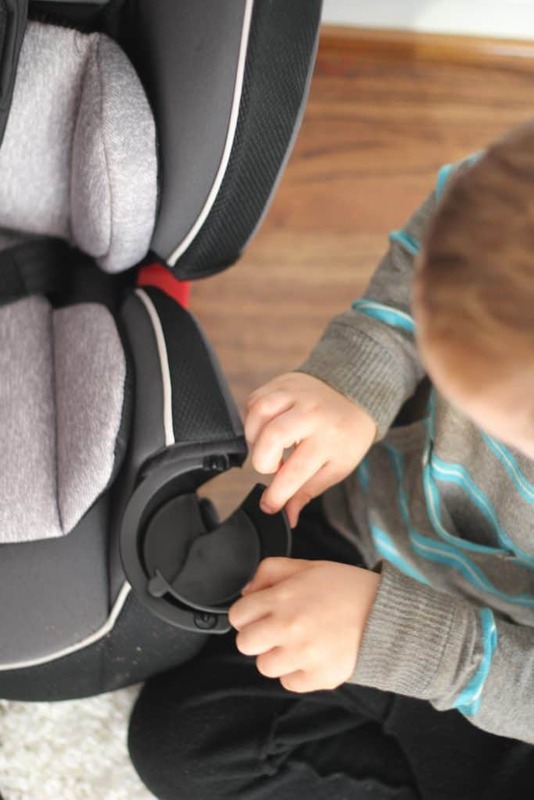 The fact that this car seat could last up to 100 lbs as it later can be turned into a booster makes the $200 price point extremely affordable compared to other Graco options. 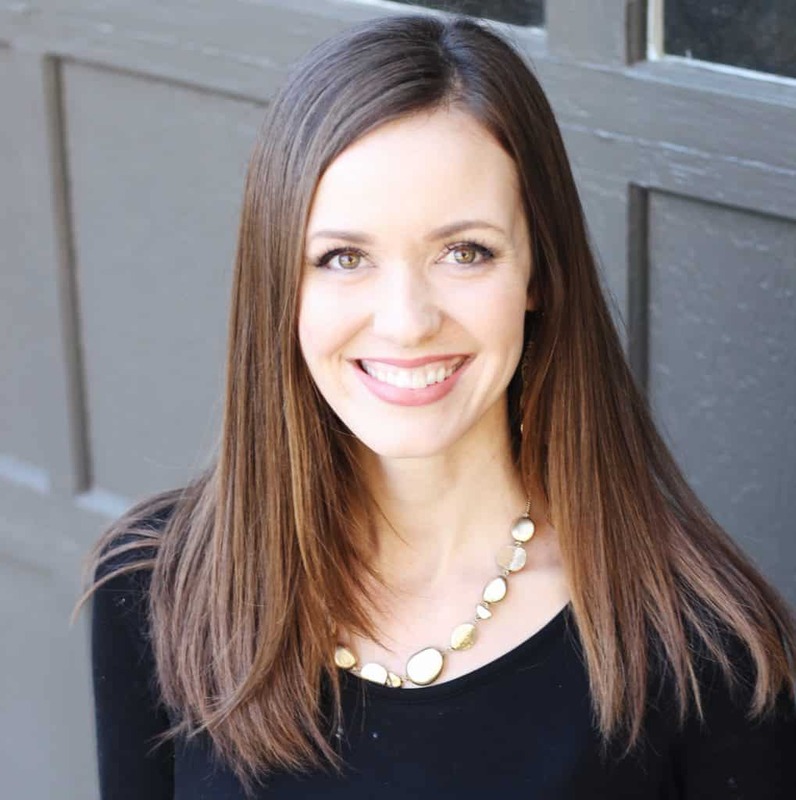 You may also love: Does an epidural hurt? What to expect before and after birth. 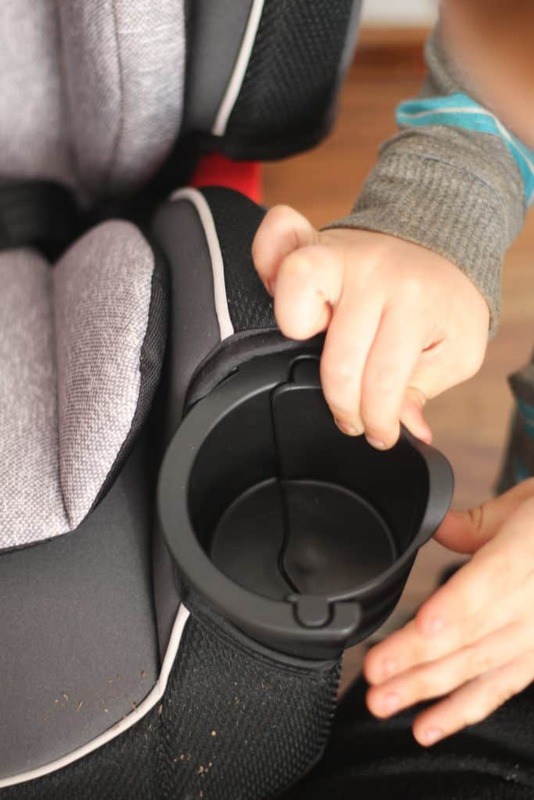 The Graco Slimfit cup holder swivels open and shut. When shut it decreases the car seat width by 10%! Testing it out just before putting it in the car. The headpiece goes up and down to adjust height, and there are even 4 recline options too. In our small car though it will be as upright as possible to give the most leg room.